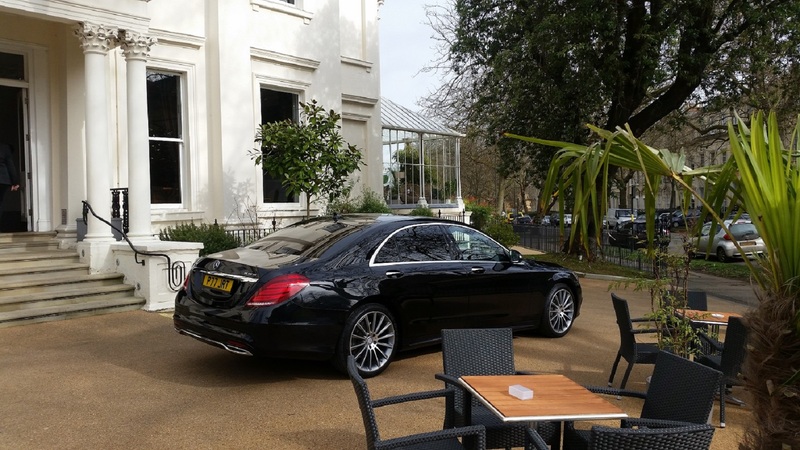 JONNY-ROCKS provide luxury travel whether you require us for business or personal use. We are happy to travel throughout the UK for our clients whilst always working within the Cirencester area to provide luxury travel. There is no task too much for us as we want to ensure clients always travel in relaxation and enjoy this side of their life. We understand it can be difficult to find professional chauffeurs who make sure of a professional travel, but our team will always provide this. With several vehicles for you to choose from, your journey will always be pleasurable, whether you are moving to local or national locations. We will always make sure that you arrive in style. Mercedes-Benz S350L SE "Executive" (LWB) (x2). The choice of vehicle is always yours, although we do have to check the availability of some of our vehicles if we only have one available. We will always try to provide you with the vehicle you desire the most, however, we will advise you and share details on all the other cars we have if your preferred choice is not available. As we specialise in business and corporate chauffeur driven cars, we are happy to provide our service on a regular basis to individuals who travel more frequently, whether this is long or short distance. Being members of the FSB, we are happy to work with business to ensure workers can arrive in the correct locations for meetings at a suitable time. Although we specialise in business travel, we are always happy to provide private travel as well. If you would like smooth driving and travel just for pleasure, you can always rely on JONNY-ROCKS. Cirencester is a market town located in Gloucestershire and a location we are always happy to travel to and from for our clients. As this is the largest town in the Cotswold District and has several important travel routes going through the town, we understand the need for chauffeurs in this area. We can travel throughout any of these roads to transport you to your destination. Cirencester also has a wide range of history throughout the town in places such as the Corinium Museum, Chedworth Roman Villa and Abbey House Gardens. With such historic and beautiful scenery, we always look to provide clients in this area with the highest standard of service when it comes to luxury transport. With it being one of the main locations and the biggest town in the Cotswolds, we can always agree a suitable time and availability of our vehicles and we will ensure you receive professional chauffeuring throughout the day. With a population of over 19,000, there are many clients we can offer our services to, so you always travel in style. JONNY-ROCKS have been established for several years and have plenty of experience travelling long and short distances for our clients. For all our customers, we offer a completely personal and bespoke door to door VIP car service at a time of your choice. Whether you require our service during the day, evening or night, we will always be available to provide for our clients and provide luxury chauffeuring. As we are members of the FSB, working with businesses to organise the transport of clientele is a simple service that we can provide. If you need us to transport to or from Cirencester, this will never be a problem and we will always provide the transport on time. Throughout the journey, you are guaranteed of a high-quality service where you can relax and enjoy travelling whether this is for business or personal reasons. We always put the interests of our clients as our main priority, firstly ensuring you have the vehicle you require during transport, whilst also dealing with any special requests to the best of our ability for a perfect chauffeuring service. Whatever your circumstances, we will try to organise a chauffeur on the date and time you require us. Our drivers are also highly skilled and whilst this is a luxury and relaxing service, you also have peace of mind that this will be a safe journey. We have various rates for chauffeuring starting at £120. Whichever car you choose, we will discuss customer requirements even at short notice, so you understand how much will be paid and how long our service will be available. If you require any longer than 15 hours, this can also be arranged through an appointment, as we always look to adjust to meet our clients’ needs. Whether you require travel from airports, buildings or your home, our chauffeur driven cars will always be available in Cirencester for a great price. View more of our customer feedback by visiting our testimonials page. If you are located in Cirencester, JONNY-ROCKS are always happy to provide professional and luxury chauffeuring to your required location. We know how difficult it can be to find chauffeuring services on short notice and for a good price, but this is something we always look to provide. Contact us today on 07877 846 803 or fill in our contact form if you would like to make an enquiry.